No more True American. No more will they/won't they. No more classic mess-arounds, aliases, or Pepperwood novels. In short, there's no more New Girl. After seven seasons and 146 episodes, the ABC sitcom came to an emotional end this week with its two-part finale, 'The Curse of the Pirate Bride'/'Engram Pattersky'. It's the right time for the show to bow out, both commercially and creatively, but there's been little in the way of a grief over the show's conclusion - and that's a damn shame. When New Girl first started way back in 2011, it was little more than a vehicle for Zooey Deschanel's winning brand of adorkableness. And that was fine, for a time, but it became so much better when the show really expanded its scope beyond Deschanel's Jess and became a proper hangout sitcom centred around all five (and briefly, six) inhabitants of the loft. Gradually the writers started to figure out the gems of characters they had on their hands: Nick and Schmidt were a hilarious double-act, the former a clowning but charming goofball and the latter a mix of insecurities and vanities that were somehow endearing. Winston got weirder and weirder but funnier and funnier as he became obsessed with pranks (and a cat), and Cece found her way from the object of Schmidt's affections to the heart of the show. Despite this, the show was never bigger than it was in its first season, when it averaged around 8 million viewers. 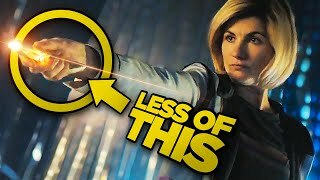 The numbers have declined since then, to the point where it only just scraped a final season, and a shortened, eight-episode one at that. The show arrived at a changing time in comedy; somewhere in between the razor-sharp meta kings like Arrested Development, 30 Rock, and Community and the higher-concepts that would arrive on streaming services, this was a show that felt more like Friends than anything else of the time, and after a couple of years that led to a feeling that it was being a little left behind. 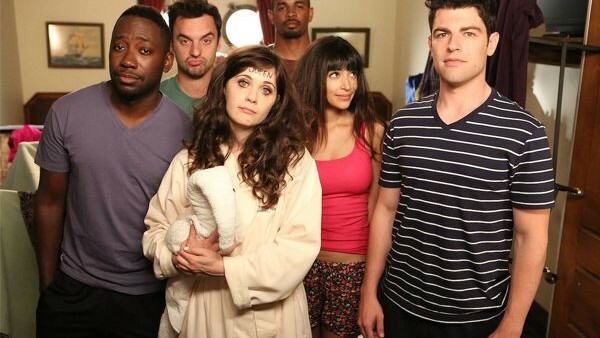 That means New Girl, which hasn't had a strong viewership for a few years and has largely been overlooked (if not exactly badly reviewed) in critical circles, has gone under the radar and been underrated during some of the best years of its life - for example, it hasn't been nominated for an Emmy since 2012. In that time the show has remained consistently hilarious without ever going stale. The mix of characters has meant the show has been able to keep things fresh and play around with different dynamics, but without changing the sweet heart that lies at its very core. It's one of TV's most perfect hangout sitcoms, especially post-Friends; the kind you can engage in the storylines of, invest in the lives of these characters and their relationships, dive deeper into the pop-culture references and in-jokes, but also just stick on as pure comfort blanket viewing. It's endlessly, effortlessly rewatchable, and more than deserves to enjoy the same sort of streaming life as shows like How I Met Your Mother and Parks & Recreation, where the show starts to form a part of our pop-culture dialogue rather than merely referencing it itself. Its appeal shouldn't date, either: the show is rooted in its modern setting, but its themes of friendships and relationships, its warmth and humour, are almost timeless. And its ensemble is particularly great: Deschanel has always been seen as the star, but Jake Johnson (who is now perhaps the biggest of the lot), Max Greenfield, Hannah Simone, Lamorne Morris, and for a time Damon Wayans Jr all deserve immense credit for the work they did, which was some of the finest across any sitcom in recent years: always funny, with a great mix of gags and physical comedy, often emotional, and a joyous chemistry that isn't easily replicated. 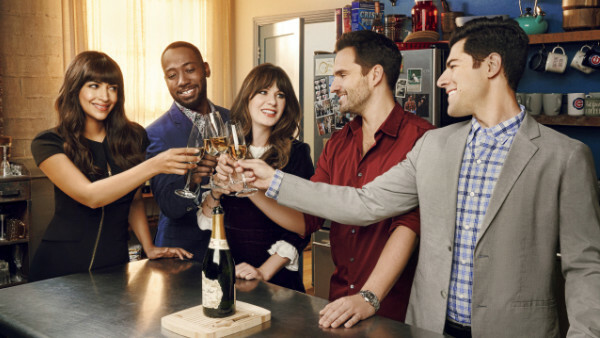 Many sitcoms begin to fall off after a few years, but New Girl was able to constantly evolve by shifting its focus around, with all of the characters at one point or another laying claim to the title of the show's MVP, whether it was in the Deschanel adorkable days or time afterwards as it figured out what each character could bring, and it was always a delight to watch. The series finale features Nick saying: “I just want to have a weird, wonderful life together." That, really, is exactly what we've had - and will continue to have - with New Girl. What do you think of New Girl? Are you sad to see it go? Share your thoughts down in the comments.